A recent reference question asked if it was possible to track down the ten tips Dr. William Albert Sullivan, former Associate Dean of the Med School used to give incoming students. My original answer was a hesitant maybe. Dr. “Sully” Sullivan was Associate Dean for Admissions and Student Affairs from 1968 until his death in 1990. 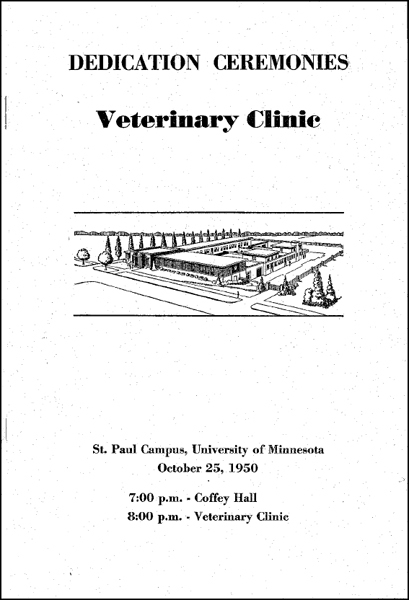 Originally from Nashville, TN, Dr. Sullivan came to the U of M in 1947 as a resident under Dr. Owen Wangensteen. Dr. Sullivan is probably most well-known for his personal interviews with each Medical School applicant. Dr. Sullivan had the ability to separate the self-assured from the self-absorbed. He was a strong believer in a well-rounded education that gave physicians the ability to relate to their patients on a personal level. I could find little archival material related to Dr. Sullivan, let alone his 10 rules. I paged through a clippings file with various articles on his service to the Medical School and a few obituaries. It became evident that Dr. Sullivan may have never recorded his advice for medical students. 1. If money is the only thing that leads you into medicine, you might as well give up now. 2. If you want to be in charge all the time, then start your own business where you can call the shots. 3. Medicine is fun, and in contrast to many other professions or skills, people rarely leave it. 4. Any physician who stops learning after medical school is doomed to mediocrity, to poor medicine. 5. The human component of your existence that says you are just as selfish and egocentric as all the rest of those persons who have gone into medicine will keep you going and lead you to that position where you do indeed heal the sick, comfort the afflicted, and have one hell of a magnificent time doing so. 6. You must continue to utilize [your] other interests while in medical school, whatever they may be – athletics, music, painting, etc. If you don’t you’ll be perfectly miserable, and you’ll make a lousy physician. 7. There will be many times when situations arise in which you will need assistance. You are equipped to handle these crises if you take advantage of the resources common to all Medical Students: your own good brains, the support of friends and family, and our Office of Student Affairs. 8. Medicine is not a science or an art. Things are not black or white, but rather shades of gray. The make of really mature medical students is that they can tolerate the ambiguities and uncertainties, as well as the discrepancies of different teachers, knowing that each represents the truth as he or she sees it. 9. As a group you have a high degree of social orientation and desire to be helpful to the patients you will treat. However, it does no good whatsoever to sympathize completely with patients if you don’t know what is happening at their cellular level or if you don’t know what organism is causing their infection. 10. Don’t ever get so over involved with the technical aspects that you forget about the humanness of the people you are treating. This sensitivity and feeling must be combined with your scientific competence in order for you to become a competent and thoughtful physician. 2. There is no cure for the common cold. 3. There are more horse’s asses in the world than there are horses. 4. Excrement always flows downward. 5. If you’re treed by a bear, enjoy the view.